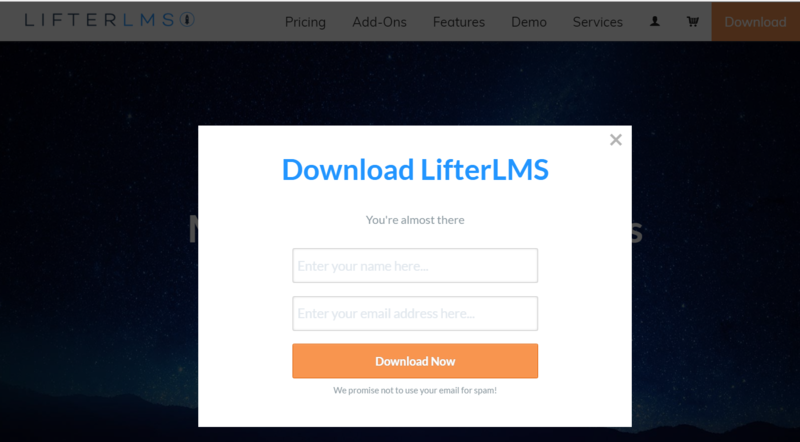 As you’ll see, LifterLMS is powerful. But if you’re not comfortable with WordPress and using plug-ins, then “easy to create and sell” is in the eyes of the beholder. 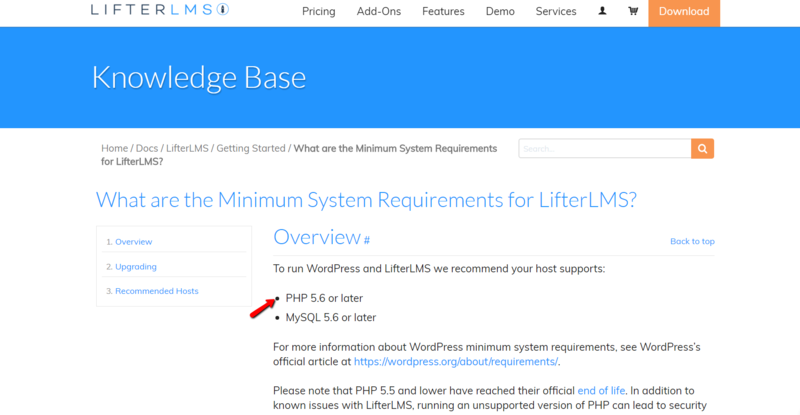 With that being said, if you are not comfortable with WordPress, LifterLMS (or any other WordPress LMS plugin for that matter) may not be for you. Still, I hope you’ll hang around and decide for yourself. For those of you who are WordPress whizzes… well, I hope you don’t spew coffee on your computer screen when you read about my adventures. One thing going for LifterLMS is that it’s open-sourced and 100% FREE. Let’s check out all the fun I had testing LifterLMS. Did the platform deliver on its promise? What’s a deal breaker for you? Who is this WordPress LMS plugin best for? Would you recommend this platform to a CBL student? First step, download the plugin. How hard can that be, right? Step 1: Head to the main page to click the download. Step 2: Enter name and email address to get download link. 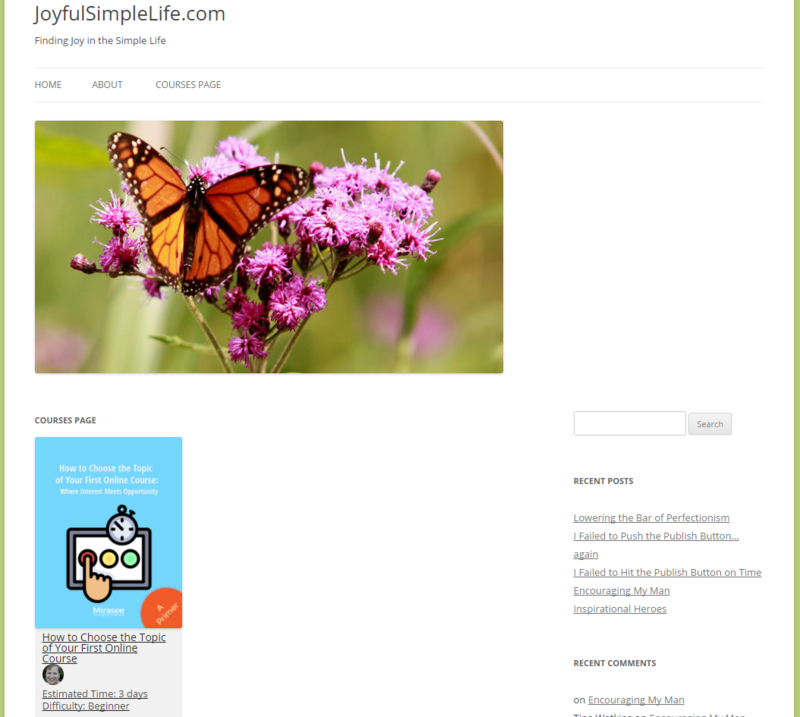 Step 3: Cruising right along, I grabbed the download link in my inbox and headed to my WordPress site to upload the zip file from LifterLMS. Step 4: Plug-in uploaded, clicked to activate plug-in, and…. Ooops! After a little research in the Knowledge Base, I discovered I needed to have my PHP running on 5.6 or higher. After, heading to my site’s cpanel and changing the PHP to a level compatible with LifterLMS, I was able to activate the plug-in. Whew! Now that I got the LifterLMS installed, I got busy course building. That’s what we’re here for, right? I took a little bit of time to review the quick start guide. It helped me understand a bit more of what I was going to be doing; however, keep in mind it’s super quick and just a surface level view. After watching the quick start guide, I was ready for this! Step 1: Click on Courses > Add Course to get started. 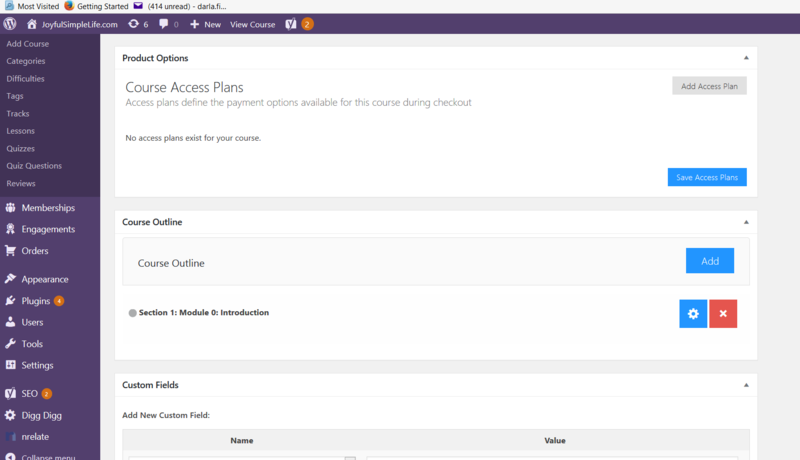 Step 3: Scroll down the page a little and you can enter your course outline. 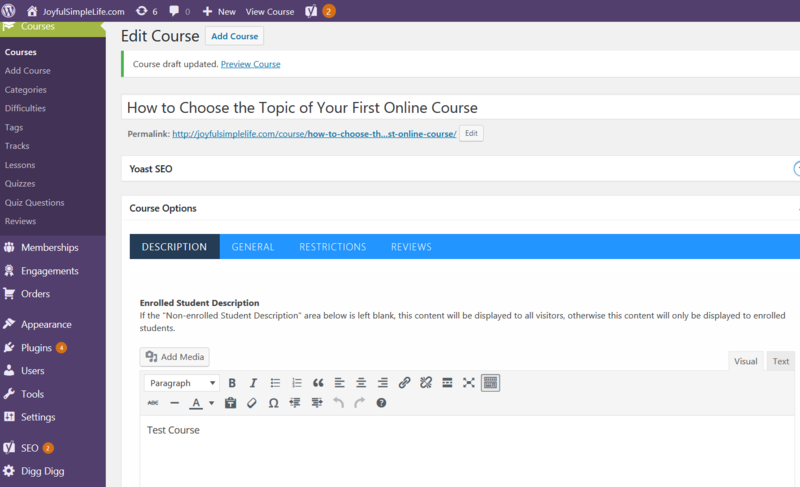 The outline gives the highlights of each module within your course. 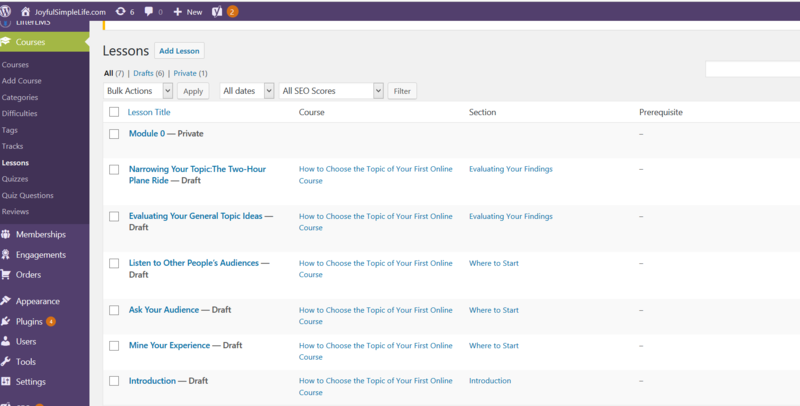 Step 5: When entering a new lesson, you can then choose what section to put it under. This is where first entering your course outline (modules) comes in handy. Embed videos using a third-party hosting site. 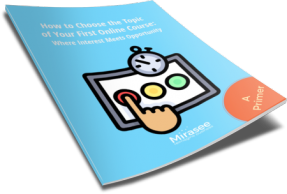 Any videos you may have for your course must be hosted via third party like YouTube, Wistia, or Vimeo. Read WordPress requirements here. You will probably want to make sure your video hosting site is compatible with WordPress and make it totally private for your site. Step 6: All the lessons in! With all the lessons finally added, I’m ready to set up my quiz. Step 7: First, I clicked on the Quizzes tag. 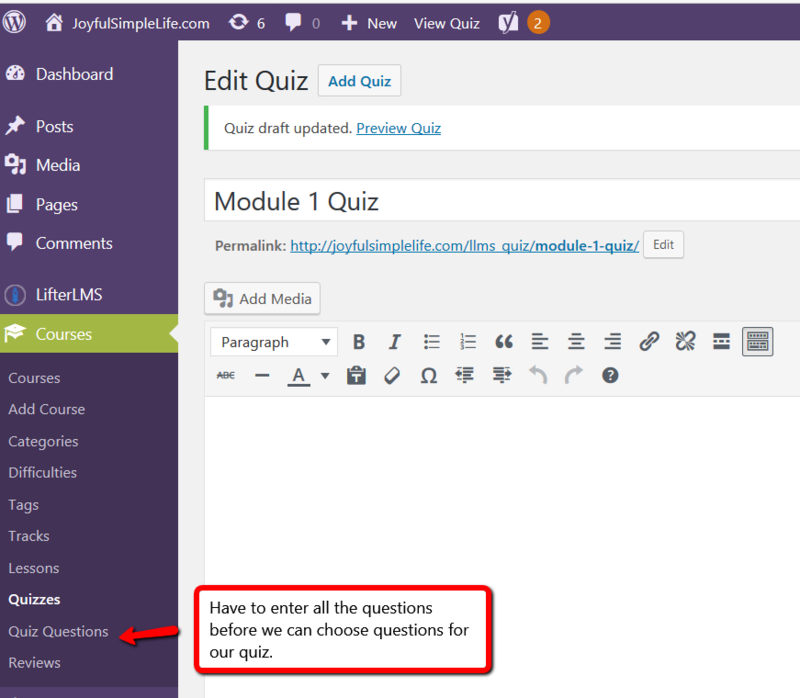 Step 8: Go to the Quiz Questions tag first and enter all my quiz questions. Something I did learn about quizzes in LifterLMS is that you have to put in all your questions first, like filling a bucket with water. THEN when you create your quiz for your lesson(s), you can determine what questions you want per lesson… like taking a spoonful of water from the bucket and putting it into a glass. Each glass is your quiz. I have to admit, it was rather frustrating at the time I was setting my course up. I was cruising right along when *bam! * I had to stop to figure out what next. To be honest, it doesn’t make sense to me to have this huge quiz question bank from which to pull for a simple course. It might make more sense if you were a university professor and wanted to dress up the quizzes each semester. As an online course creator, I just don’t see the need for it. So, back to creating my quiz by filling my quiz bucket. It’s not very hard, once you know where you need to do it. Step 9: Add a new question for my quiz. Step 10: Scroll down to input the answers to each question. Step 11: All the questions are entered and published. 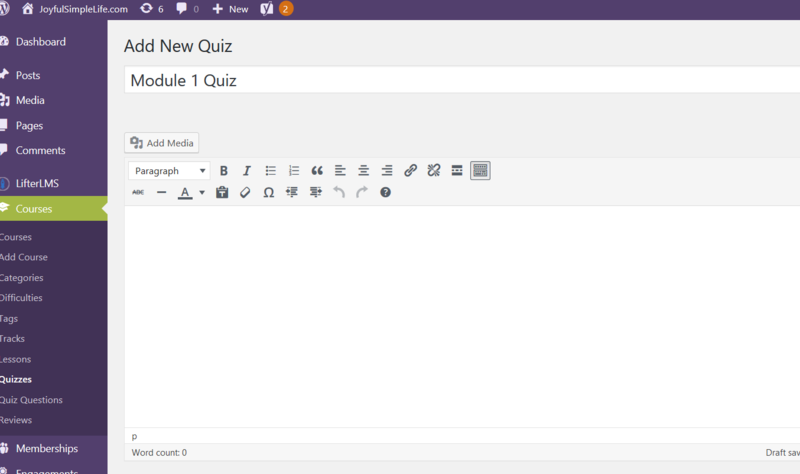 Now I can create my quiz. Step 12: Now I can go back to *square one* to create my quiz. Just click on the quiz tab once you’re back in the lessons. Use the drop down to choose your questions. 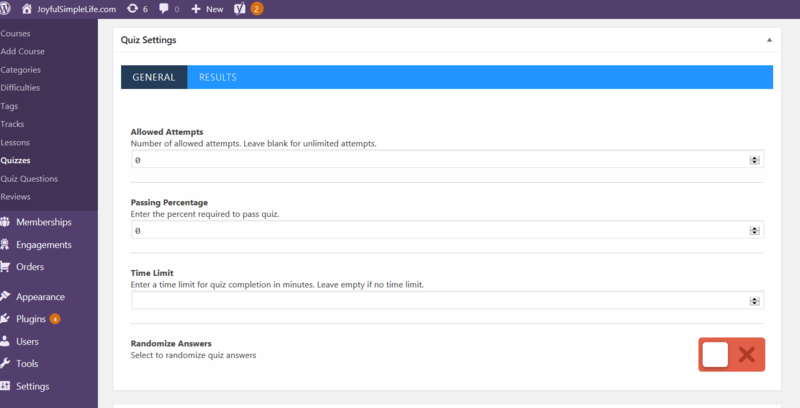 Step 13: You have different options for your quizzes, which you can do at the beginning of setting up your quiz buckets. 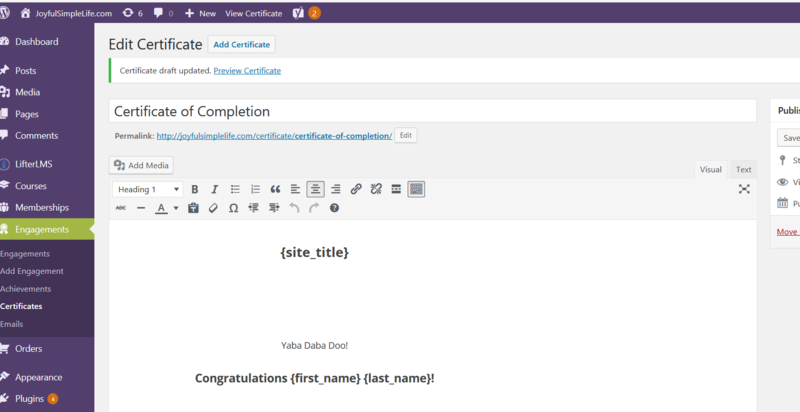 Next, I wanted to set up a certificate of completion. 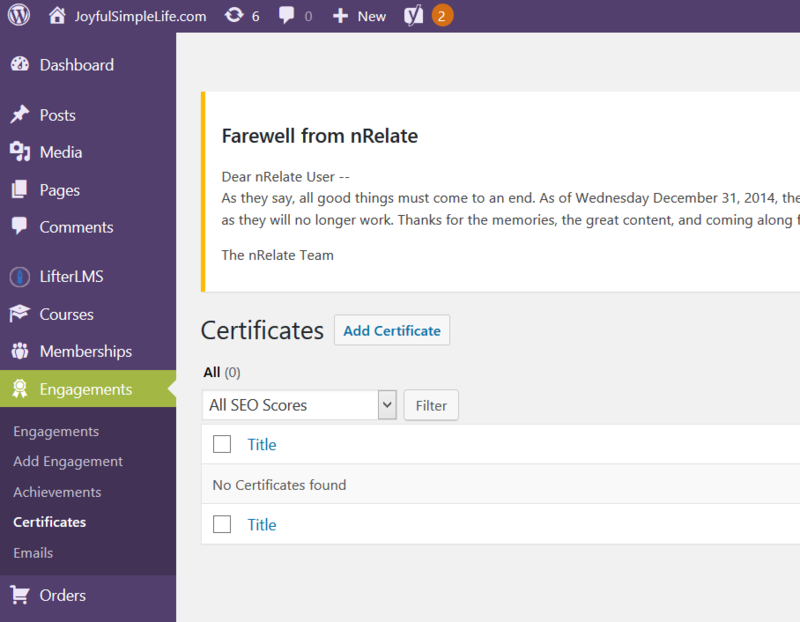 LifterLMS does have a couple of ways to engage with your students with certificates, achievements, or emails. 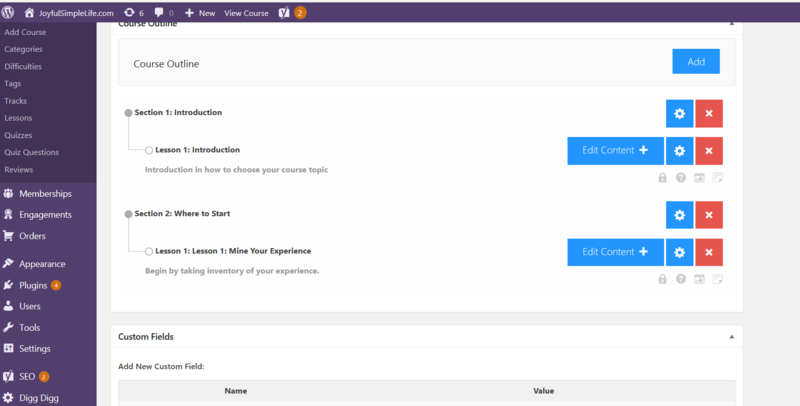 You can establish what type of engagement will be triggered based on the student’s behavior, such as when they enroll, or complete the course, etc. Admit it, you want one of my certificates, don’t you? From the moment I finally got the plugin activated to when I finished uploading my course was about 3-4 hours. Granted, if I were using this for several courses, I would probably get much quicker. 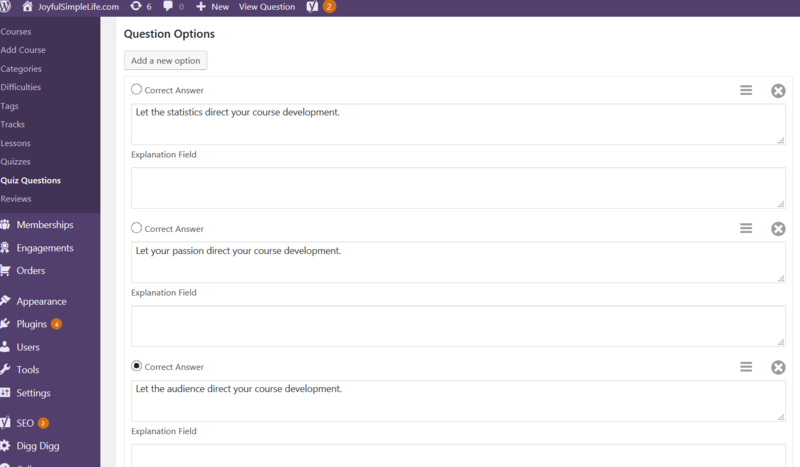 On the other hand, when I tried to access the course via the student’s view, I struggled to figure out why my fake student wasn’t getting notifications or login instructions, etc. I learned I had to create new pages to list my courses and a login dashboard for students to go to. Hindsight is 20/20, and it makes more sense to me now. But a checklist would have been absolutely fantastic because I spent another 2 hours searching the Knowledge Base to figure out what I was missing. Frustrated does not even come close to describing my feelings at the time. As I noted before, I definitely had quite the learning experience with this plugin—so much so, that I’m determined to conquer it. Are you ready for a breakdown of the features of LifterLMS? Yes/No – it’s using WordPress’s backend to send email. It also provides options to use dedicated SMTP providers to ensure email deliverability. Sure! 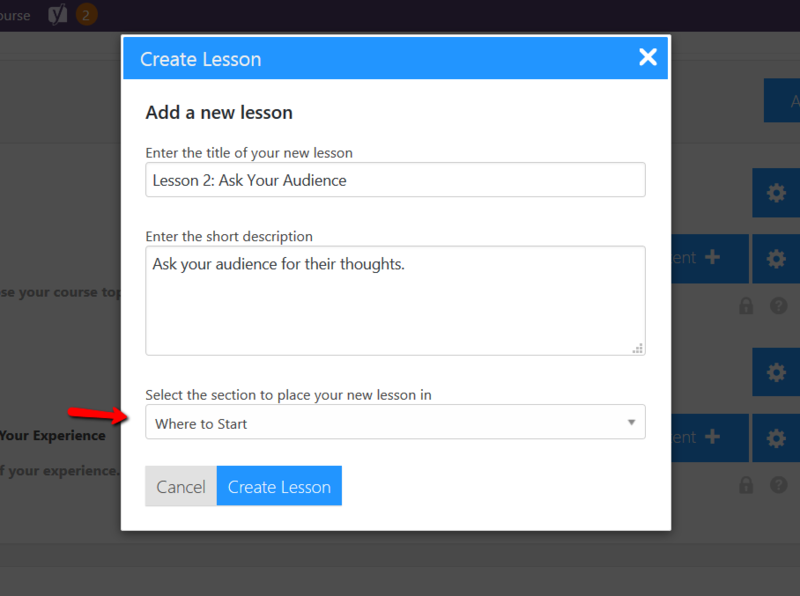 You can set a trigger to happen if you complete a lesson, or multiple lessons, or read the FAQ, etc. Yes, but it’s a bit clunky. Free version – use Knowledge Base, FAQs, and the forum. Only paying Customers can submit support tickets. For the most part, it did deliver. Once you play around a little bit, putting your course in the platform isn’t too hard. Is it as intuitive as I would have preferred? No. 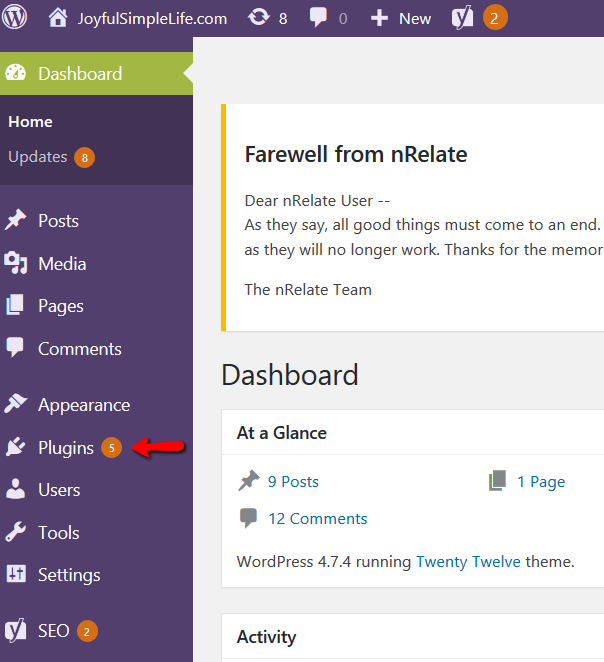 But if you are comfortable with the backend of your WordPress site, you’ll probably love this plugin. First, I liked that this was free. If you’re strapped for operating funds and don’t mind working a WP plugin, this is an option to get your course(s) up and selling. 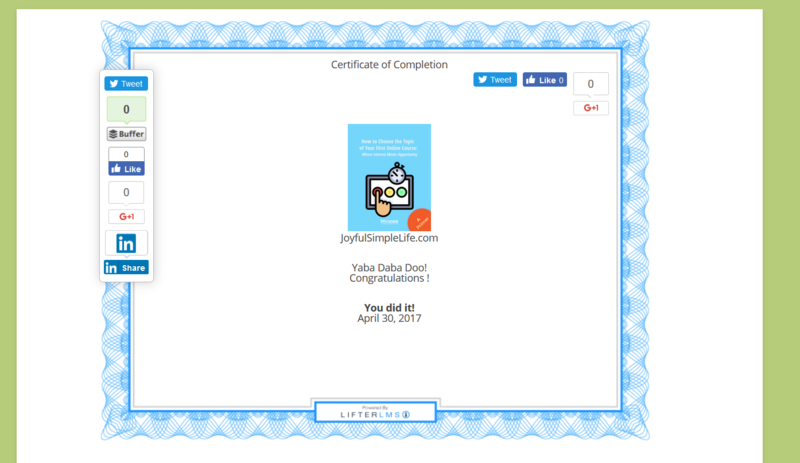 Second, after playing around with it, I liked going to my site and creating the course right on my site. I love knowing how things work from behind the scenes. By using this plugin, I was in control of all my content, where it went, and what it looked like. Even though I’ve done the same on all-in-one sites like Teachable and Thinkific, it was different… like buying pre-made pizza dough versus measuring and kneading pizza dough from scratch. Finally, I liked that I could set the difficulty level of each course, how long it would take, etc. It might not matter if I only had one or two courses. From the perspective of a potential student scouting my catalog of courses, it’s useful to know the degree of difficulty they might encounter with each course and which course builds on another. Struggling with the PHP. In my research, I discovered that LifterLMS used to work under the level of PHP I had. That made me wonder how quickly future updates of the plugin would cause issues including losing my courses. Another thing I didn’t like very well was having to host my videos on third-party platforms like Vimeo, YouTube, or Wistia. Honestly, I just found it inconvenient to have to upload my video to a third-party site and then embed it within the plug-in. Is it a deal breaker? No, just personal preference. If you’re using the free plugin, you might feel a little lonely support-wise as you will be using the Knowledge Base, FAQs, and the forum for support. For me, the deal breaker is having to pay for add-ons to use an email service, affiliate management, and payment integration. It’s like buying a car with only an AM radio and manual window cranks. If you want bells and whistles, you‘ve got to pay for them. Another deal breaker is the support. While the Knowledge Base was helpful, I felt pretty lonely and frustrated trying to figure out why the plug-in wouldn’t activate on my site. For those of you who are more technologically advanced than I am, that may not bother you. Otherwise, it would be wise to pay for support. Hands down, this plugin is best for those who are comfortable messing in WordPress and don’t mind using a variety of third-party sites for video and audio files. 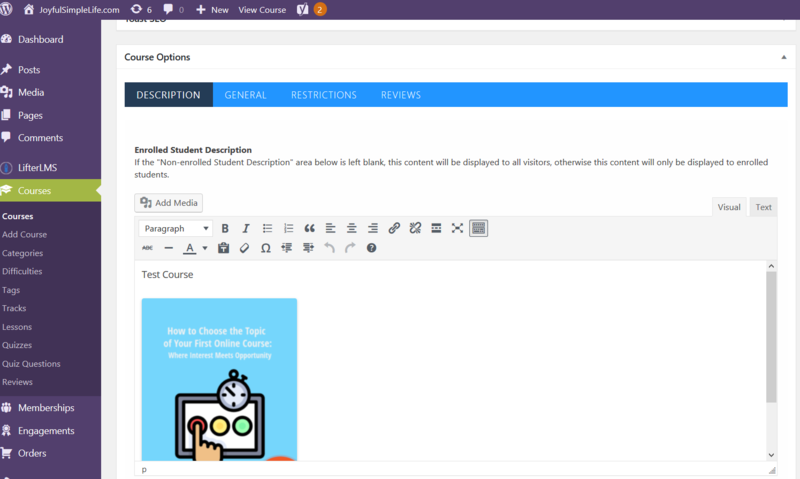 If you don’t want to spend time messing with the backend of your WordPress site, or you don’t even have a WordPress site, then I wouldn’t recommend this plugin for a Course Builder’s Laboratory student. Make sure the PHP in your site’s hosting is set to 5.6 or higher. Sketch out your course outline first in either Microsoft Word or Google Doc. Have all your quiz questions ready to input in the quiz section. Utilize the Knowledge Base, FAQs, and forum for support. Watch the free LifterLMS demo course. 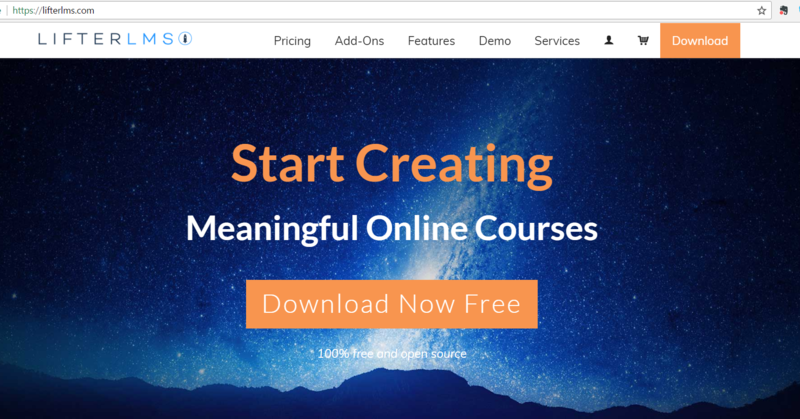 But in all seriousness, this is a robust, free plugin that can definitely get you started selling your courses without having to fork over a percentage of your course fees to an all-in-one platform, especially if you’re handy with WordPress. What about you? 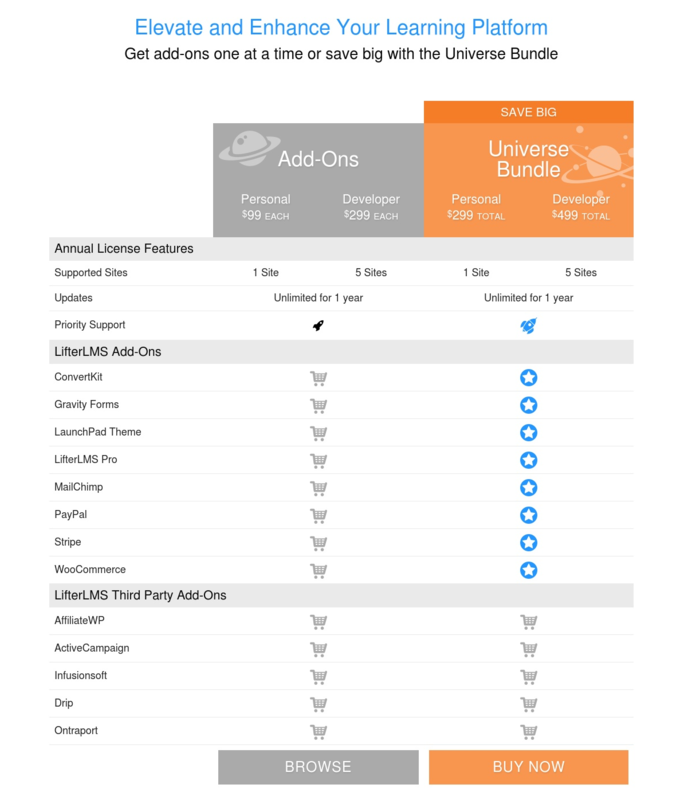 Would you take on LifterLMS? If you’ve got a favorite WP plugin for course building, what is it? Why do you like it? 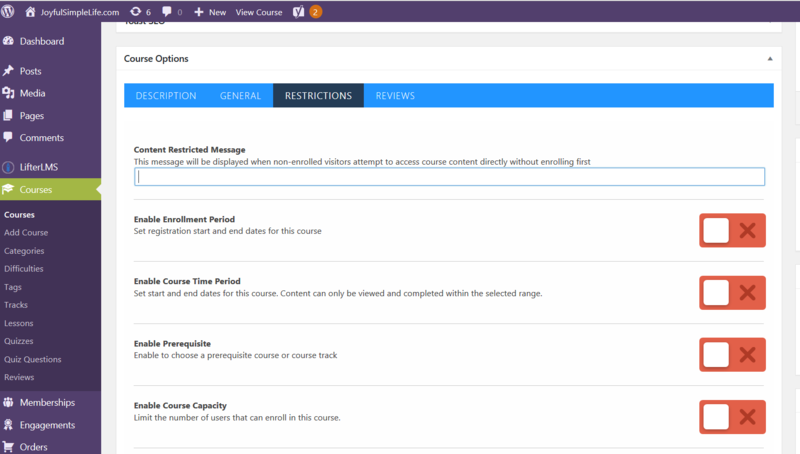 Previous Post » LearnDash Review: Does It Deliver the Best in Online Course Creation? It was awesome to see your process through Lifter LMS. A lot of the things you shared are like… “Yeah, I know… sigh.” It’s definitely a reminder that I’m used to working in WordPress’s clunky interface, and there’s a huge learning curve for non-wordpress users. Thanks Darla, that’s a nice review of the Lifter LMS system. I have my own WordPress site and I downloaded Lifter just last week and I’m ready to get it started. I’ll remember to check to see if I have the required Php so I don’t run into any issues with that. 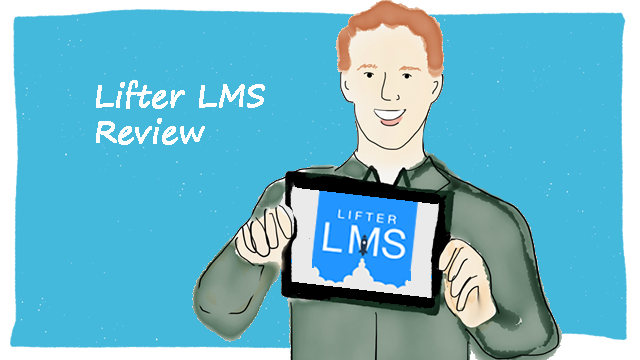 I’ve been reading about different lms’s over the last few months and I’m going to give Lifter a go. Have a good one. 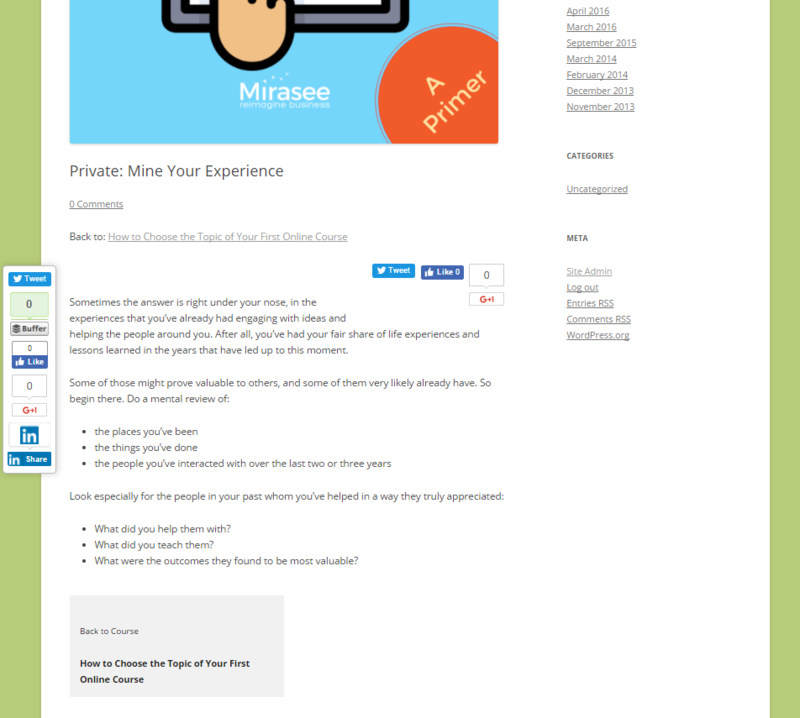 And, definitely, if you’re handy with WordPress plugins, you will enjoy this one. 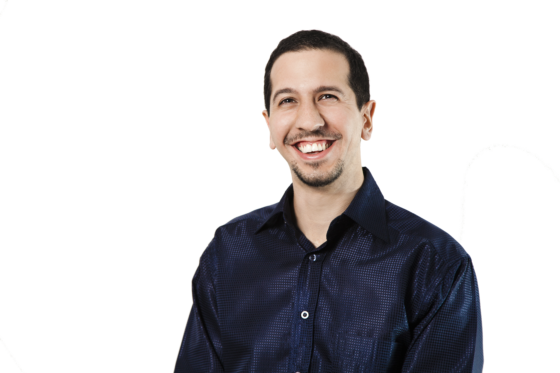 @Prashant – Thanks for letting us know about your plugins for LifterLMS.